"In his new show 'Deception' Dave performs large illusions, sleight of hand magic and one of the best quick change pieces seen in the UK"
Deception was developed originally for a large scale theatre show but since its conception award winning illusionist Dave Burns has re developed the same high energy, fast pace show that can be adapted for any size performance venue. 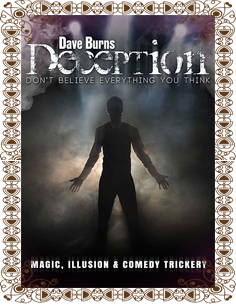 Using spectacular illusions draw dropping magic and mind blowing quick change Deception is fast, fresh and unique. With over 10 years experience performing as a magician and illusionist Dave possess the skill, flair and showmanship to produce an experience that will keep audiences on the edge of their seats. 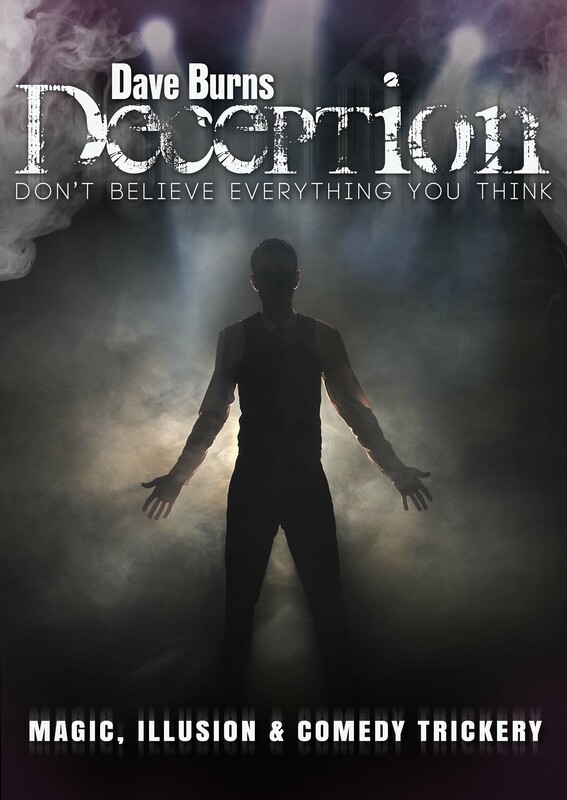 Guaranteed to be a crowd pleaser Deception features some of the best magical effects and stage costumes and is a said to be a masterpiece of "theatrical magic". "Deception was the most successful illusion show we have ever had and the audience was left wanting more"